I don't remember exactly when I first learned of Anthony Bourdain's existence. 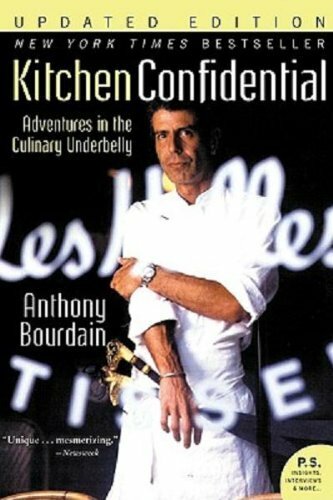 I had heard about an amazing book called Kitchen Confidential, and in early 2005 I bought a copy through Amazon. Not only was it insightful and entertaining, but it was literally life-changing. By that I meant it had changed some of my dining patterns. I no longer ordered the seafood special - especially on Mondays - and I stopped eating mussels almost completely. It was also around the same time that I first saw a couple of episodes of The Cook's Tour - his first TV show. As I was planning an eating trip around Spain - including a pintxos bar crawl and dinner at the legendary elBulli - his episodes on San Sebastien and the special entitled "Decoding Ferran Adria" were particularly key. My friends and I hit the same pintxos bars he did in San Sebastien. Over the next decade or so, I followed his footsteps through the new(er) TV series Anthony Bourdain: No Reservations. I loved that he traveled the world to eat and to discover different cultures, and some of the locations were pretty exotic - or at least off the beaten path. Before embarking on a trip to a new country or region, I would often check whether he's done an episode there, and mark down the eateries he visited. This was a double-edged sword. He introduced great places to eat around the globe. As his popularity increased and more people followed in his footsteps, some of these spots saw such an influx of tourists that prices rose and locals stopped eating there. Cheap eats like Warung Ibu Oka and Tian Tian Hainanese Chicken Rice now have long lines thanks to him. No doubt the proprietors are grateful to him for making their businesses flourish. Over time, though, the show became less about where and what he ate. Food was still part of his show, but increasingly it was more about the people he met, the cultures (of which food was certainly a part of), and the conversations he had with the locals. I still checked his episodes to see where he ate, but I no longer expected to come away with 5 choices of dining options. That was OK, because his shows were still entertaining and enlightening - just in different ways. I bought Anthony Bourdain: No Reservations on DVD. And when I got myself into the Apple ecosystem, I bought seasons on iTunes. It was the only show I religiously followed, and I kept my TV tuned to Discovery TLC mostly because of him. I loved watching him. I loved that he was flawed and admitted his failings. He wasn't someone who tried to exercsise total control over his public image in order to appear perfect - the way Beyoncé and Jay-Z reportedly do. He told you about his addictions in his very first book. He had very strong opinions, and he wasn't afraid to tell you what he really thought. He had wit, and sarcasm came out of left field whenever you least expected it. He was an iconoclast, and constantly challenged people's perceptions and pushed boundaries. He was irreverent and shot his mouth off ALL THE TIME. I reveled in the jibes he took at Guy Fieri, Rachel Ray, and numerous others. Unlike a few of my friends, I never had the pleasure of meeting him or sharing a meal with him. Nevertheless, I felt connected to him, and saw him as a cool guy I wouldn't mind breaking bread sharing a bowl of noodles with. He was a world traveler who has seen quite a lot of the world - whose grueling schedule no doubt took a toll on his personal relationships - with many a story to share. He just seemed that open and inviting, and we all wanted to hear the stories he had to tell. But he's gone now. I'm still in shock. I don't know how. I don't know why. And in all honesty, it doesn't really matter. The only people it really matters to would be his loved ones and those closest to him. No doubt he was a complicated person, and many of us have our demons. I hope those demons are gone now and that he has found peace. It felt right to open a bottle of wine and toast him, but my selection at home was rather limited tonight. So it was that I chose a bottle of bongwater which, as it turned out, drank incredibly well. 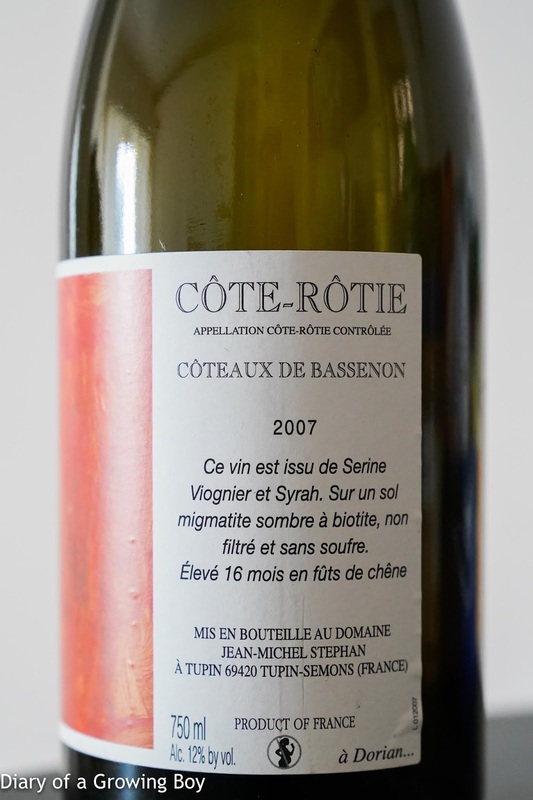 2007 Jean-Michel Stephan Côte-Rôtie Côteaux de Bassenon - popped and poured. 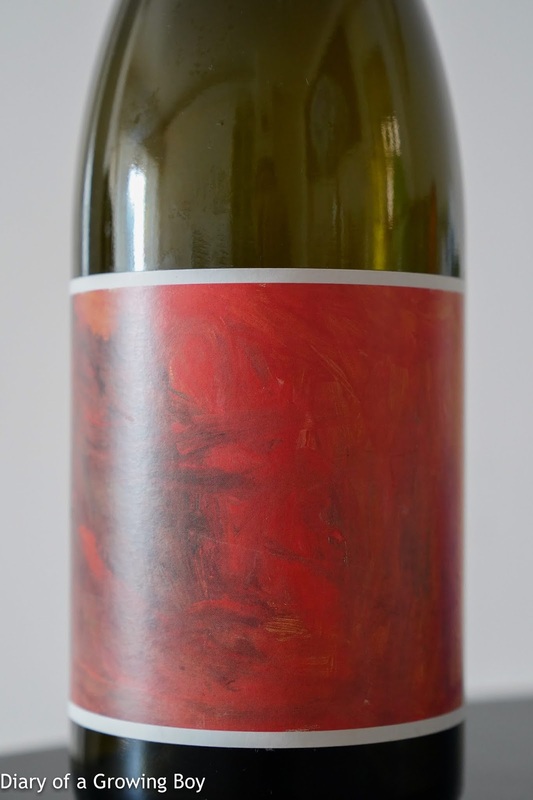 Very fragrant nose, with lots of animal, leather, grilled meats, smoke, forest, cedar, sweet fruit, and floral notes from the viognier. Beautiful. Even though I never knew him on a personal basis, he will be deeply missed. I am eternally grateful that he has chosen to be a part of our lives, even if it's only remotely via our TV, computer, or mobile screens. I, for one, believe that humanity is the better for it. As many have already mentioned, Tony was one of the great storytellers, and I'll be watching episodes of No Reservations, Parts Unknown, and the Layover for weeks and months to come. What an eloquent tribute to Anthony Bourdain. I was beginning to wonder why no food bloggers in HK honored him since he had changed many of our views on food and for that matter our lives for the better. I am very saddened by his death and am selfishly angry that Anthony left all of us behind with a deep void. I too felt like I have lost a dear friend. I read Kitchen Confidential years ago and was struck by how well he wrote. I read his other novels and was awed by his writing talent. I love his narratives on his television programs. He was affirming, reflective, poetic and deeply human. His voice was calm and comforting, there was so much empathy and goodness in the world. A jiu jitsu blue belt holder, fit and handsome, Anthony seemed to have it all. Even President Obama wanted to be on his program while in Vietnam. The world has lost a brilliant and good human people who, through food, brought people together, who celebrated diversity and unity. What a great loss to humanity, he will be VERY sorely missed.